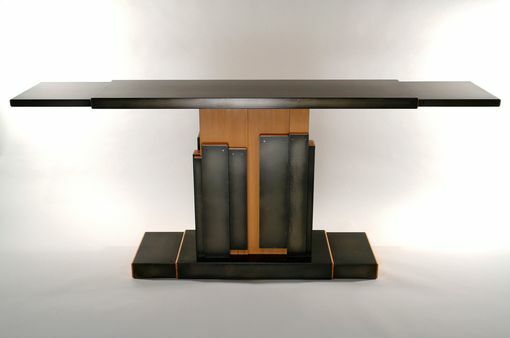 This Entry Table was actually designed for an office display console in San Francisco, but could be used in either the home or office. 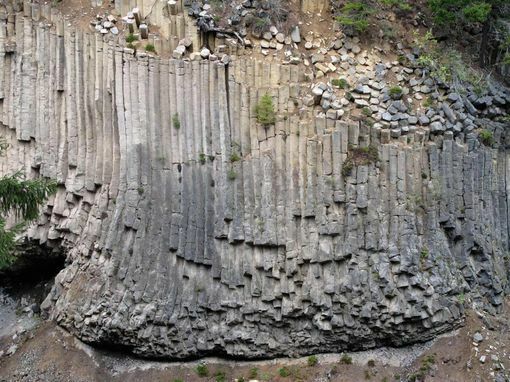 It is part of my "Slab Series", which is representative of my inspired interest in the 'architectural' Columnar Basalt geologic formations in the Columbia Gorge. It is made from polished and patinaed steel with vertical grain fir.